Climate models attempt to simulate the behaviour of the climate system. The ultimate objective is to understand the key physical, chemical and biological processes which govern climate. Through understanding the climate system, it is possible to: obtain a clearer picture of past climates by comparison with empirical observation, and; predict future climate change. 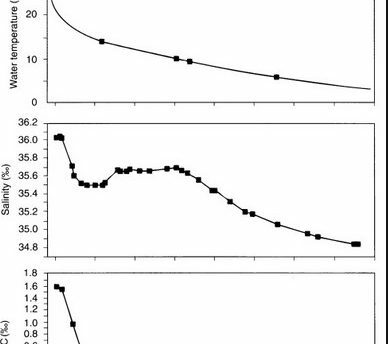 Models can be used to simulate climate on a variety of spatial and temporal scales. Sometimes one may wish to study regional climates; at other times global-scale climate models, which simulate the climate of the entire planet, will be desired. Henderson-Sellers & Robinson (1986), Henderson-Sellers & McGuffie (1987) and Schneider (1992) provide detailed introductory discussions of the methods and techniques involved in climate modelling. 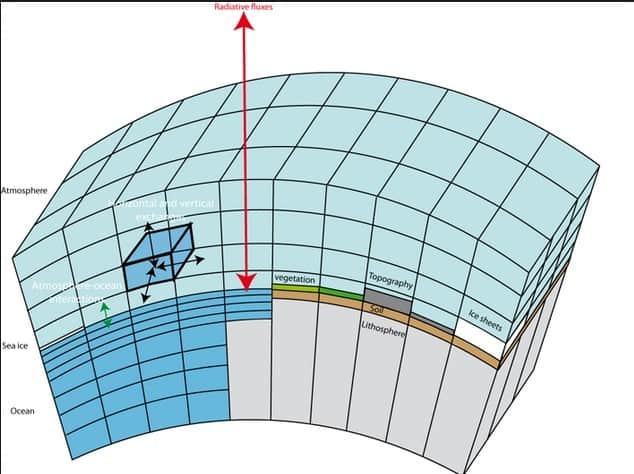 3) surface process – inclusion of processes involving land/ocean/ice, and the effects of albedo, emissivity and surface-atmosphere energy exchanges. These are the processes fundamental to the behaviour of the climate system that were discussed in chapter 1. The basic laws and other relationships necessary to model the climate system are expressed as a series of equations. 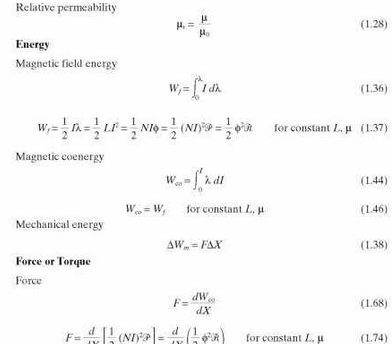 These equations may be empirical in derivation based on relationships observed in the real world, they may be primitive equations which represent theoretical relationships between variables, or they may be a combination of the two. 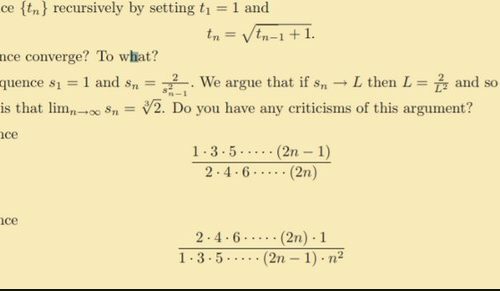 Solving the equations is usually achieved by finite difference methods; it is therefore important to consider the model resolution, in both time and space i.e. the time step of the model and the horizontal/vertical scales.